View from east end of Placerita Canyon, looking toward Sand Canyon, Aug. 10, 1960. At lower left is the Frank Walker homestead. 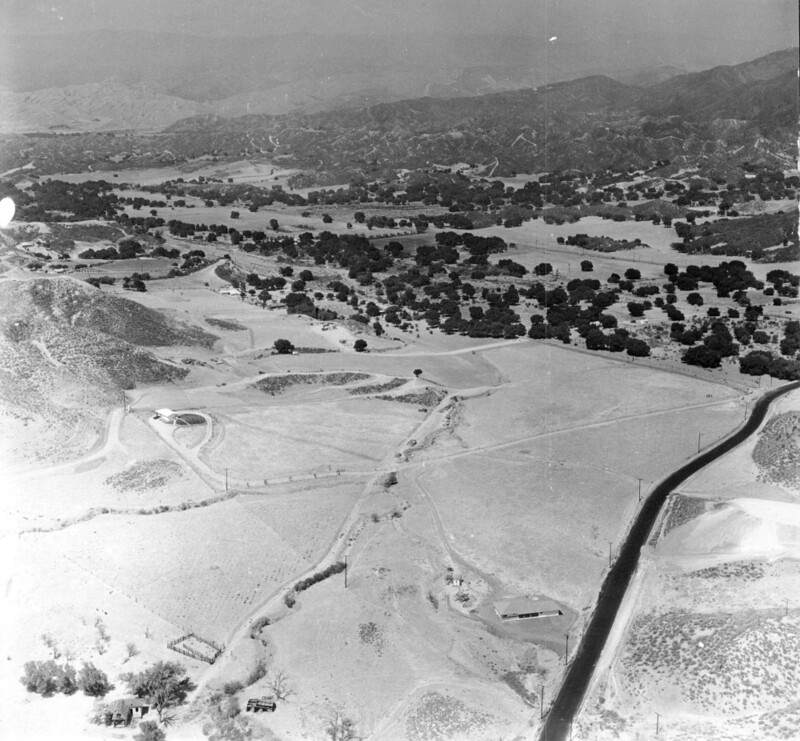 At lower center-right (just left of Placerita Canyon Road), is the home of Joan Walter, then under construction. Oak trees dot Sand Canyon.